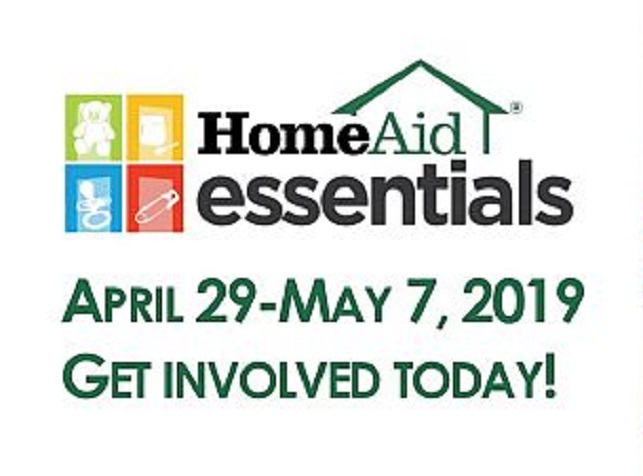 This Mother’s Day, HomeAid Atlanta invites you to celebrate mothers by participating in the 18th Annual Essentials Drive. The event, which will take place from April 29-May 7, is a city-wide drive to collect “essential” supplies, including diapers, baby wipes, baby food, and formula for homeless infants and toddlers. Just before Mother’s Day, Atlanta-based UPS will partner with HomeAid to deliver the supplies to local non-profit organizations that provide housing and support services for homeless families. There are many ways to get involved in the Essentials Drive, including volunteering your time, donating supplies or funds, or coordinating a collection through your work, church, or civic organization. An estimated 5,700 people in metro Atlanta are homeless on any given night, and approximately 40% are families. Thanks to overwhelming community support, HomeAid’s Essentials Drive has collected over 1.2 million baby items since 2002, assisting countless babies and their mothers in the metro Atlanta area. What items are collected? Essential items include diapers (size 1 to 5), pull-ups (size 4 & 5), baby wipes, baby food (stage one to toddler), infant formula, and baby laundry detergent. Monetary donations and gift cards to stores that sell baby supplies are also accepted. Can I donate online? Yes! HomeAid has online baby registries through Amazon and Target. Cash donations are also accepted online. Are there any items that are not accepted? Used items will not be accepted. All donations must be new and in original packaging. Where do the donations go? All items are distributed to local non-profit organizations serving homeless families and children. For more information or to sign up to help, contact Karen McLane at 678-775-1450 or karen@homeaidatlanta.org.